Head lice are a disgusting problem that makes everyone's skin crawl, but the truth is these wingless parasites are relatively harmless. However, a few common untruths are preventing people from taking the proper precautions to stop their spread. Did you know that lice prefer frequently washed hair over a dirty head? And, is it true that Vaseline can take care of an infestation? Read on to discover the truth about head lice, so that you can prevent an infestation in your home. 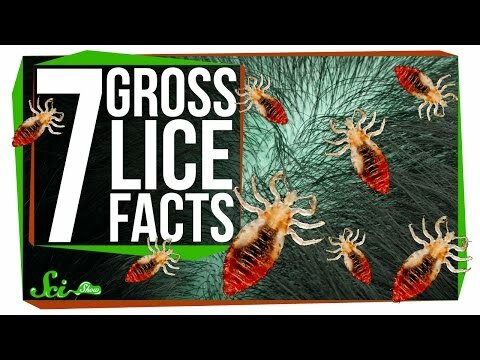 Lice are more annoying than they are dangerous. Contrary to popular belief, hygiene has nothing to do with head lice and nits. At worst, the bites may cause your scalp to become itchy and persistent scratching may lead to skin irritation or infection. The belief that lice leap from person to person is also incorrect. Lice are transferred by contact, either directly or through sharing items like a comb, hat, furniture or bedding. To check for lice, examine the scalp for live insects or head lice eggs on the hair shaft. Unless the infestation is heavy, it is more common to see nits than it is to see adult bugs crawling on the scalp. There are a million rumored remedies for an infestation, but few of them actually work and some are just downright dangerous. Folks who believe in traditional treatment methods may tell you that gasoline or kerosene will kill lice. That may be true, but it will also kill the person you are using the treatment on! NEVER�use gasoline or kerosene because the volatile fumes will combust. Some people believe that Vaseline will kill lice. Yes - petroleum jelly will smother them, but it will not destroy the nits. Also, it is almost impossible to get the greasy goop out of your hair. The sad truth about head lice�treatment is that it can be an exercise in trial and error. The insects sometimes develop resistance to pesticides, so you may have to experiment with a variety of lice treatments. Consult your doctor or pharmacist for advice on medicated lice products and use them precisely as instructed. If you do not, the product can either be ineffective or will burn your scalp. If you are unable to get rid of head lice and nits after two applications, speak to your doctor about trying another treatment. Lice and nits will die at temperatures over 130 degrees Fahrenheit, so washing clothes, bedding and towels in hot water or using the dryer can effectively eliminate the problem. Even your hair brushes and combs can be cleaned with hot water. There really is no reason to panic about these pests. At the end of the day, the truth about head lice�is that an infestation can be treated quickly and effectively with a trip to the pharmacy.